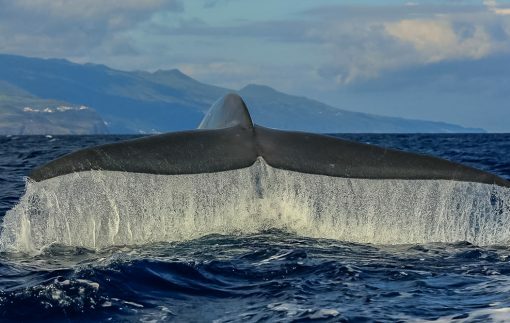 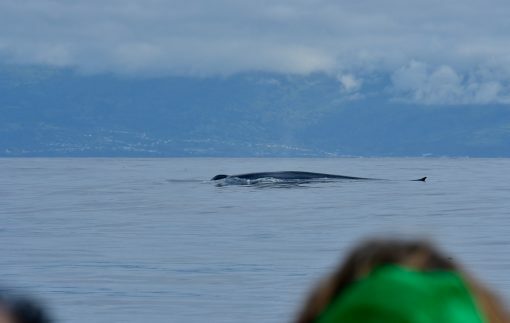 Whale Watching here on Pico Island will be your best wildlife experience during your stay on the Azores. 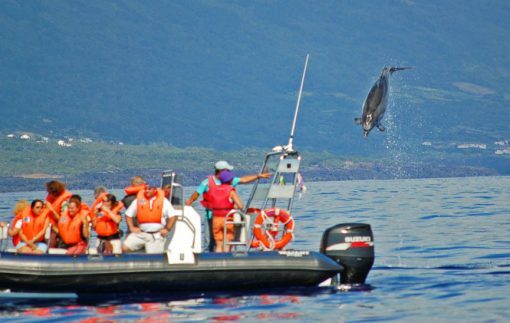 Being able to watch whales and dolphins at close range is a dream for a lot of people which turns into reality at Pico Island. 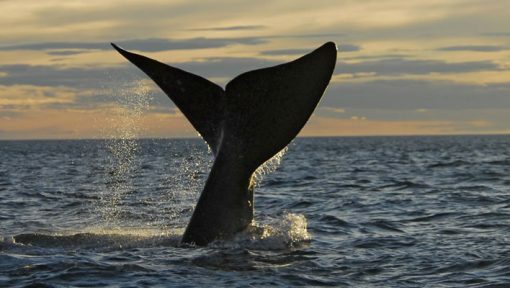 Nearly nowhere else in the world it is possible to see such a wide varity of whales and dolphins during one season. 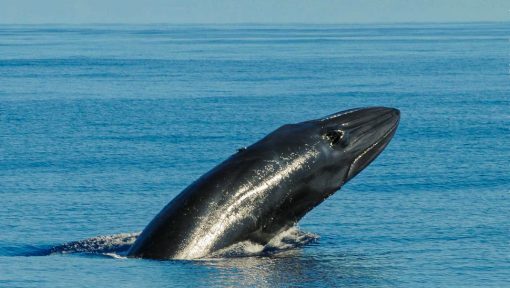 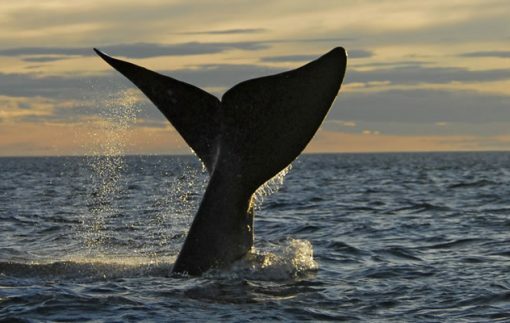 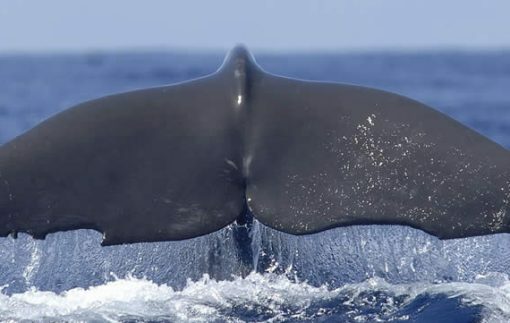 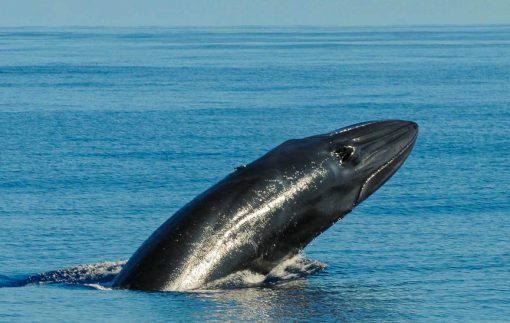 The most common whale we observe on our Whale Watching Trips is the sperm whale. 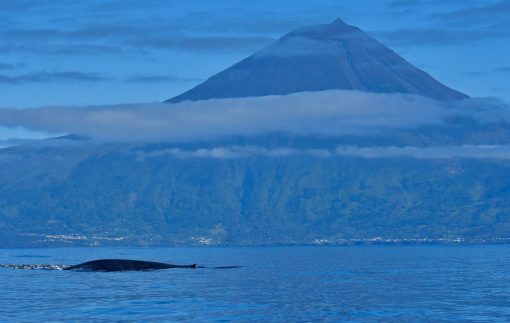 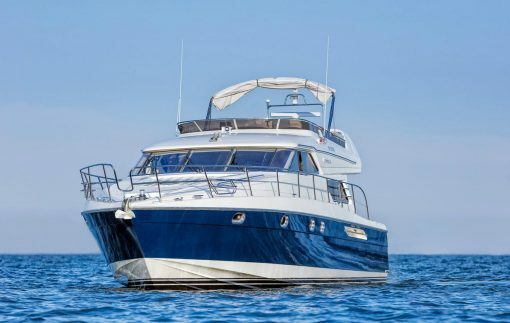 The waters around Pico are one of the best in the world to observe whales and dolphins in the wilderness. 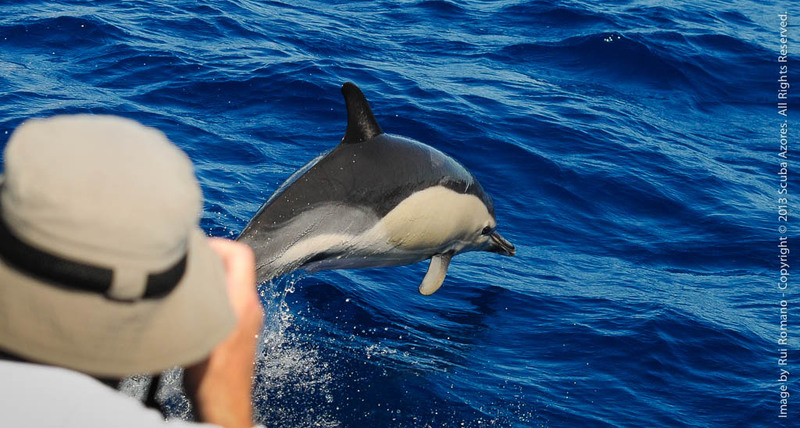 We are proud to announce that the success rate of sightings during the excursions is at 99 percent. There are two reasons for this success: We use an old technique of the whalers who already worked with the so called “vigias” in the penultimate century. The vigias are spotters on land who observe the ocean with binoculars to find the whales. 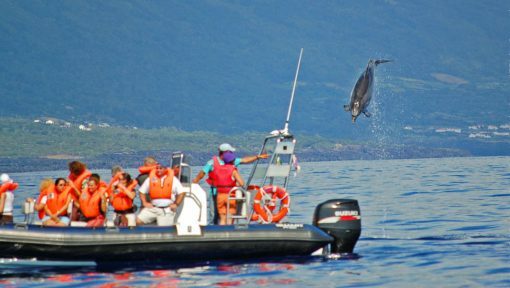 The information in which specific region the animals are currently located is spread to the boats via radio or mobile phone. 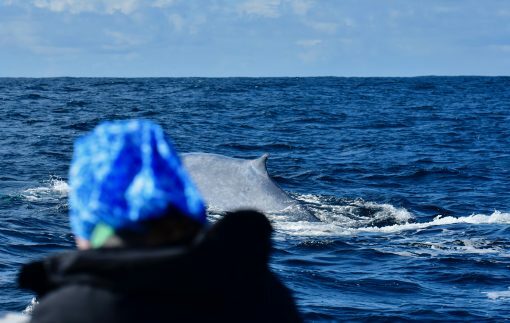 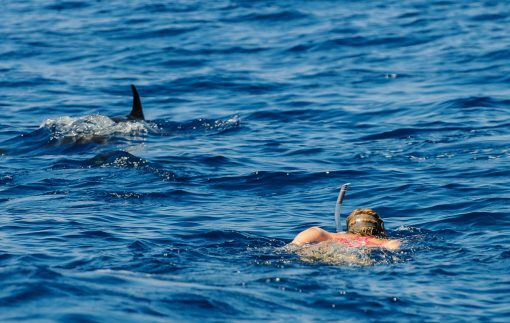 However, the most important precondition is created by nature itself with the variety of whales and dolphins that find nutrition around Pico which is why we can meet them here so numerously. 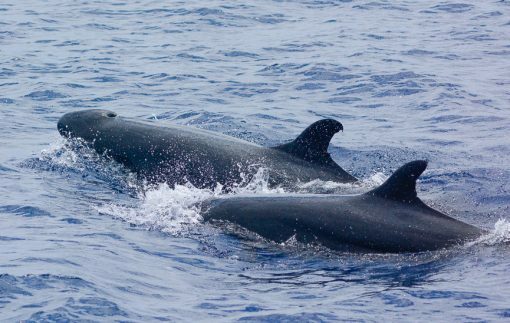 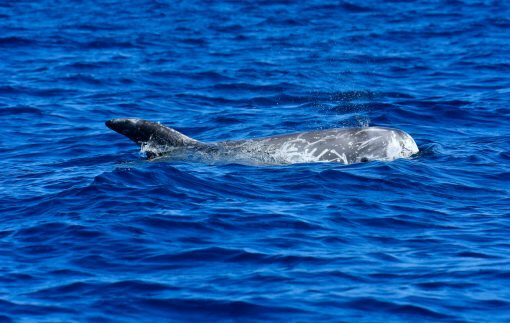 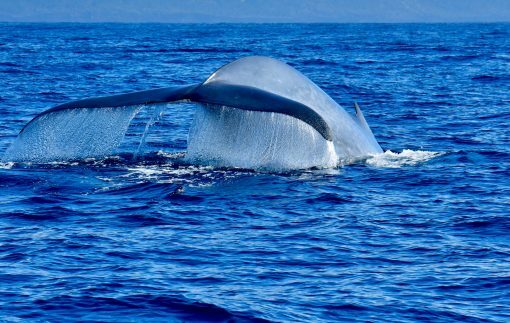 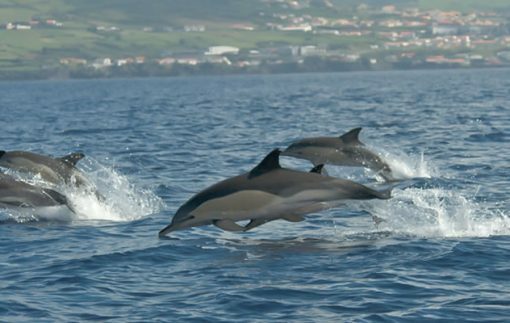 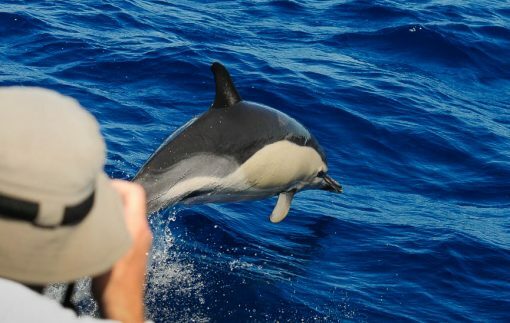 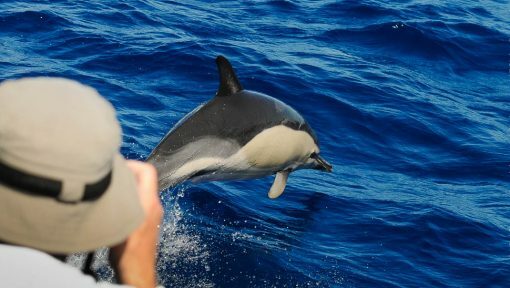 More than 25 different species of whales and dolphins can be observed throughout the year in the Azores. 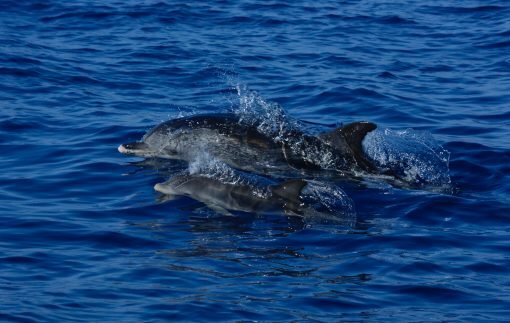 All year round there are four kinds of dolphins in the waters. 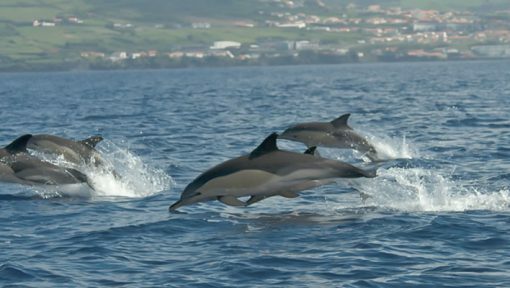 Bottlenose dolphins, common dolphins, striped dolphins as well as Risso`s Dolphins serve themselves at the “buffet” that nature has to offer. 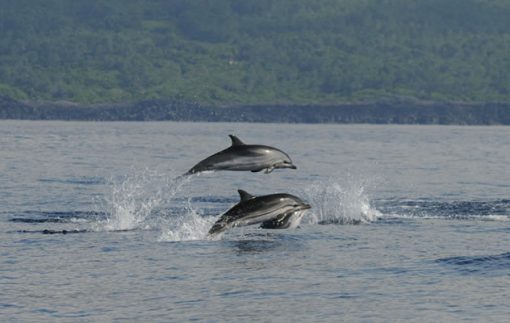 In Mid-June large pods of spotted dolphins join the water around Pico. 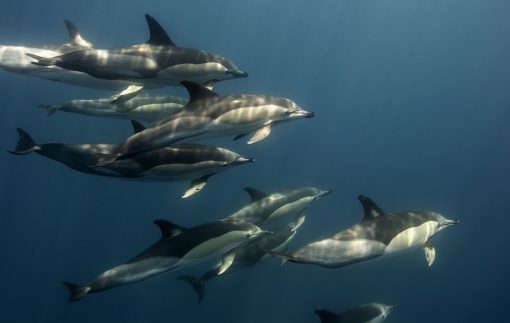 Here the animals give birth and often emerge in groups of up to 1,000 individuals. 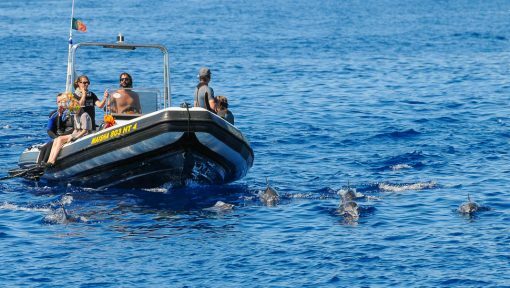 Together with other dolphins, Cory’s shearwaters, bonitos and sword fish hunt alongside for scads and sardines. 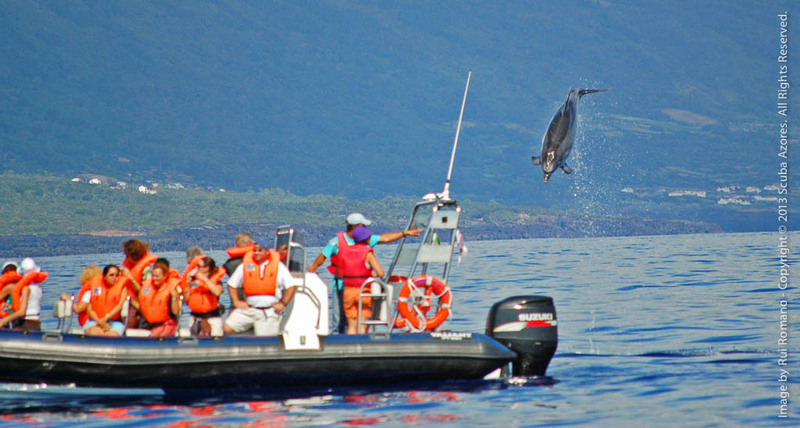 Whale Watching on Pico Island will give you one of the most beautiful wildlife experiences in your life. 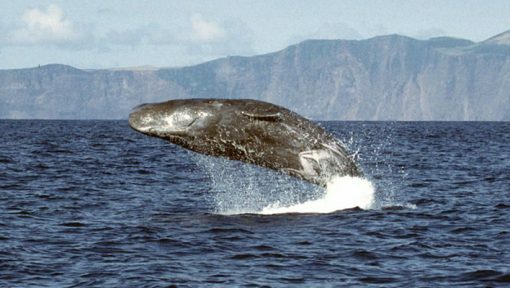 An excursion takes about three hours. 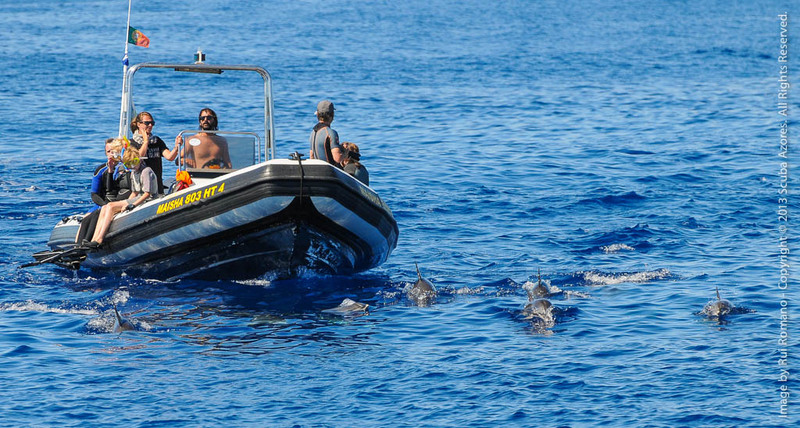 In the early morning the vigia reports the sightings and guides the boats to the spots. 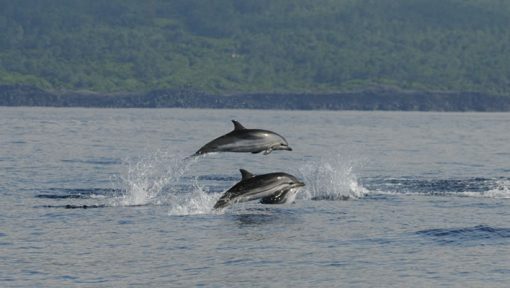 The boats only leave the harbour when a sighting has been registered. 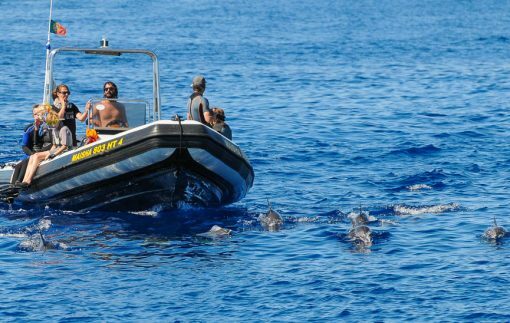 Before each tour our well-trained guides hold a briefing. 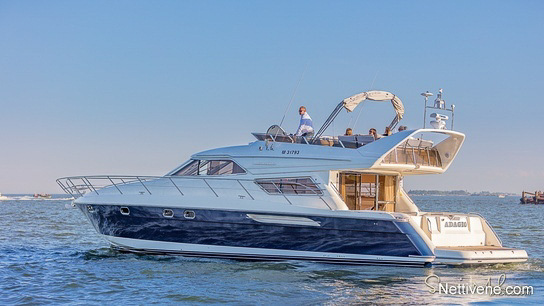 Afterwards the life jackets are distributed and you go aboard.